Welcome to OrigamiGifts.Com. 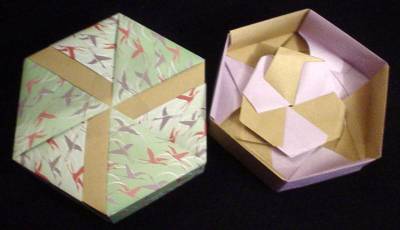 Origami is the art of folding paper to produce decorative and useful objects. 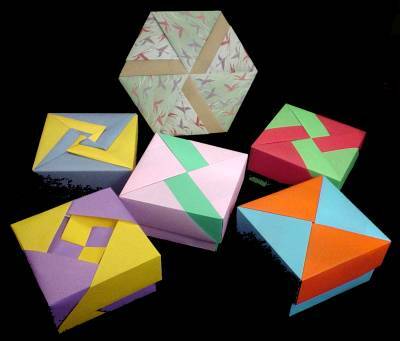 We offer boxes that are folded from squares of paper and joined by the folding without use of glue, tape or staples. They are lightweight and elegant gift boxes ideal for romantic trinkets, party favors, or bride's maid, or groom's man wedding gifts. 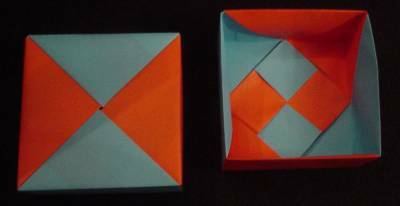 Boxes can be folded to order; just let us know what color combinations you would like. 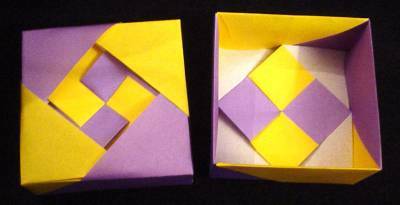 Hexagonal box, 4.5 inches wide, 1.5 inches deep. Wheel, a square box 3.25 inches wide and 1.75 inches deep. 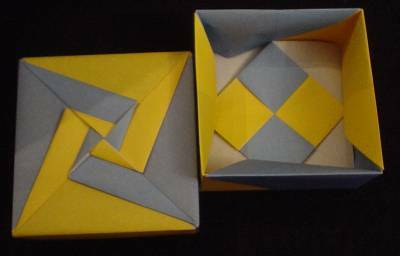 Lozenge, a square box 3.25 inches wide and 1.5 inches deep. Lightning, a square box 3.25 inches wide and 1.75 inches deep. 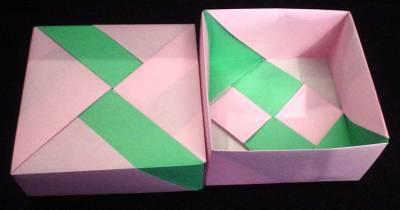 Bowknot, a square box 3.25 inches wide and 1.75 inches deep. 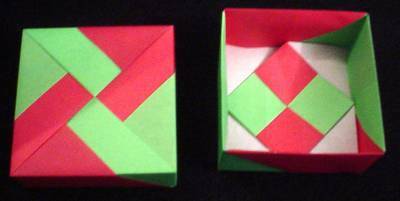 Pinwheel, a square box 3.25 inches wide and 1.5 inches deep.